Professor Czinkota specializes in marketing and international business strategy. His current research focuses on trade policy, global market entry and expansion strategies, and export development policies. Professor Czinkota teaches courses in trade policy, foreign market entry strategies, international marketing analysis and export management. He is an associate professor of international business and marketing at the Georgetown McDonough School of Business. He also lectures international business at University of Kent, Canterbury, UK. PROFESSIONAL ACTIVITIES: Professor Czinkota was a deputy assistant secretary at the Department of Commerce from 1986 to 1989. He also served as head of the U.S. delegation to the OECD industry committee and as senior trade advisor for export controls. Professor Czinkota has consulted with AT&T, IBM, General Electric and Nestle, and has assisted various governmental organizations in effective trade promotion policies. He was listed as one of the three most productive contributors to international business research in the Journal of International Business Studies. 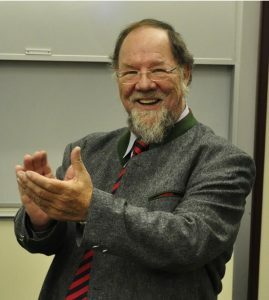 He is the senior author of two college textbooks, International Marketing and International Business, in their 10th and 8th editions, respectively, and of Global Business: Positioning Ventures Ahead (2011) – which reflects the challenges of international management in a world of conflict and uncertainty. Learn more about Prof. Michael Czinkota by visiting his university faculty profile. You can also reach Professor Michael Czinkota by email at czinkotm@georgetown.edu.